NBC4 and Telemundo 52 with nonprofit organization Michelson Found Animals are kicking off the inaugural "Fund the Shelters Challenge" to help local animal shelters and rescue groups raise much-needed funds for critical supplies, medical care and food. 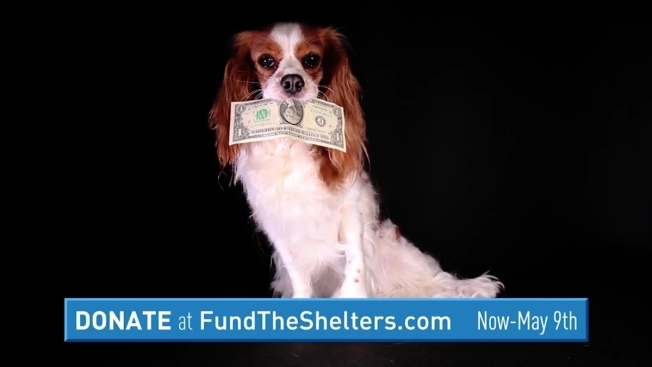 You can help by visiting www.FundtheShelters.com and donating to a local shelter of your choice now through May 9, 2019. Donations will help shelters compete to win part of $200,000 in prize money. Lend a helping hand to shelters in need! Donate to the #FundTheShelters Challenge now. Also, NBC4 and Telemundo 52's Clear the Shelters returns for the fifth year on August 17, 2019 when thousands of animals in Southern California will be available for adoption at a reduced fee of $20. Stay connected to Clear the Shelters and follow NBCLA on Facebook, Instagram and Twitter for the latest details.